Billboard music award winners Kinto Sol is made up of the Garcia Brothers, Manuel “Skribe”, Javier “DJ Payback” and Eduardo “El Chivo”. Their music is a product of their cross-culture life experiences and a common story among immigrants in search of, and in pursuit of the American Dream. The talented trio originally from Iramuco, Mexico arrived into the urban alley by ways of Chicago, later relocating into the industrial landscapes of Milwaukee after the release of their debut album, “Del Norte al Sur” (From the North to The South). The pioneering success of the album became a corner stone into the marketplace for Kinto Sol, as they secured the endless recognition into the industry’s completive edge. Their instant fans quickly found refuge in the hypnotic content and mesmerizing lyrics. The motivation behind the band’s music cultivated the demand to produce and release two back-to-back Gold albums, “Hecho en Mexico” (Made in Mexico) and “La Sangre Nunca Muere” (The Bloodline Never Dies). Kinto Sol dedicated these albums to the fidelity of family and sheer perseverance against economical struggle, encouraging the pride in their cultured heritage. With each release, Kinto Sol continued to win the hearts and minds of its listeners, building an ongoing diversity in their audience. After the montage and sheer number of loyal listeners, Universal Records could no longer ignore the draw of the band’s industry success, offering them an invitation to join their seasoned label. Shortly after uniting with Universal in 2007, “Los Hijos del Maiz” (The Sons of Cornâ€), the bandâ€™s fourth hit album, was released. The album documented and confronted the contemporary challenges facing immigrants, including unfamiliarity, economical discrimination, and racism. A year later, the Latin Billboard Music Awards nominated and awarded the band with the Best Rap/Hip Hop category. In 2010, Kinto Sol again received another nomination by the Billboard giants for their album, “Carcel de SueÃ±os” (Prison of Dreams), in the Best Latin Rhythm Album Artist of the Year, Duo or Group category. On October 19 2010 Kinto Sol released their sixth album entitled â€œEl Ultimo Suspiroâ€ , (The Last Breath). The release debuted at #1 on the Biilboard Latin Rhythm Chart and #7 on the Billboard Latin Album Chart. 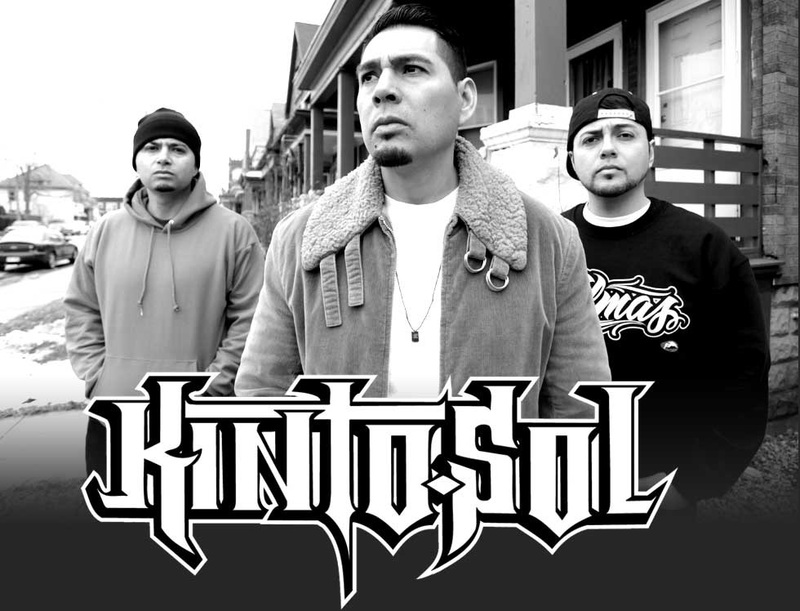 In addition to their independent success, Kinto Sol continues to credit their “Soldados” (fans) for their success and for all the accolades received without syndication and or absolutely NO radio play. This feat alone remains being an ongoing industry miracle…Â one that demonstrates that Kinto Sol is here to stay.